Product prices and availability are accurate as of 2019-04-20 23:21:45 EDT and are subject to change. Any price and availability information displayed on http://www.amazon.com/ at the time of purchase will apply to the purchase of this product. 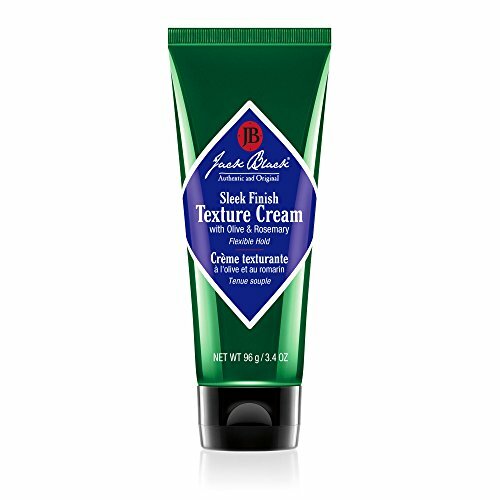 Jack Black Sleek Finish Texture Cream is a fragrance-free, versatile, and lightweight cream that provides long-lasting flexible control and exceptional anti-frizz benefits. This product provides consumers with a controlled, sleek finish without the stiffness or greasiness. It’s ideal for dry-to-normal wavy, coarse, or thick hair, and it can be used on dry or damp hair. 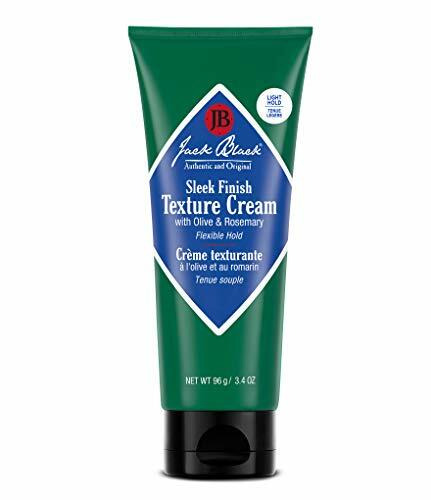 Jack Black Sleek Finish Texture Cream is packed with proteins, vitamins, and natural oils that work together to provide anti-frizz benefits without greasiness or stiffness. Silk amino acids provide excellent moisture-binding properties, which hydrate the hair and skin. B5 provitamins are added to thicken hair and retain moisture, which adds volume and shine. Natural oils, including rosemary extract, geranium oil, and jojoba oil, moisturize, fight bacteria, and balance moisture. Botanical extracts including olive fruit oil, lavender, and beet root provide antioxidants and essential fatty acids that moisturize, thicken, add a natural shine, deodorize, and soothe. 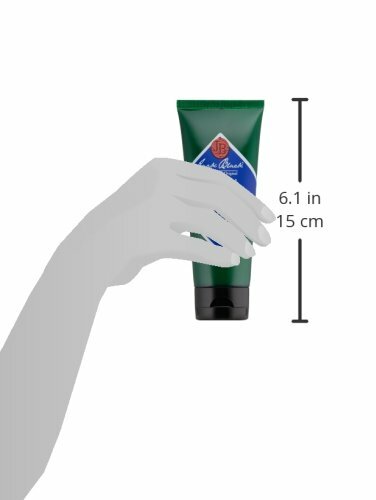 Jack Black products are carefully formulated with the finest ingredients to be highly effective yet easy to use. Every Jack Black product is dermatologist tested, paraben free, cruelty free, and free of harsh surfactants. Almost all products in our line are vegan, free of artificial colorants, safe for sensitive skin, and made in the USA. For best results, work a small amount of Jack Black Sleek Finish Texture Cream into slightly damp or dry hair. Style as usual.